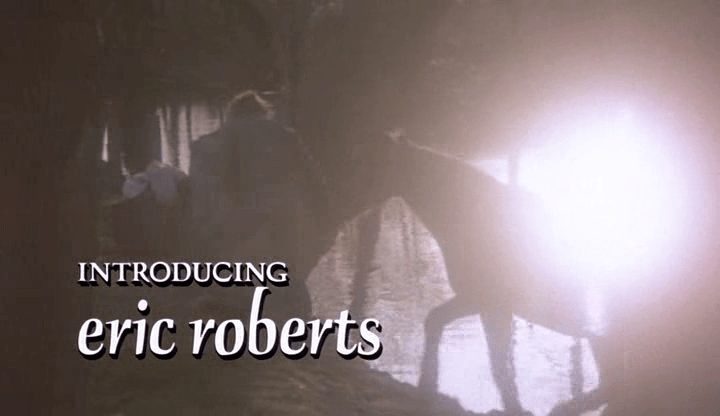 CALL IN SICK and SEND THE KIDS TO THE SITTERS, it’s time for episode 13 of Eric Roberts is the Man – the #1 ranked Eric Roberts-related podcast IN THE WORLD. This time we’ve been coerced into watching Eric Robert’s starmaking performance in 1978’s KING OF THE GYPSIES, as well as the pilot for the sitcom LESS THAN PERFECT, and to help with this mammoth task we’re joined by pop-culture writer, interviewer and KING OF RANDOM ROLES Will Harris, who has conversed with ER on multiple occasions. IT’S TRUE! It’s a revelatory episode, and it’s time to listen.. right.. NOW. You’re going to want to check out everything Will Harris has ever written, but a good starting point is his Random Roles with ERIC ROBERTS, or check out the entire archive of The AV Club’s Random Roles right here! We discussed his Oral History of the film AIRPLANE! which you can find right here. If you want to keep up on his writing, and you do, be sure to follow him on Twitter @NonStopPop and keep your eyes locked to http://newsreviewsinterviews.com/. And let’s take a look at THE ROBERTS REPORT! EYES OF THE ROSHI is a film about choices. Saigon, 1973. A boy discovers a dead body on the side of the road. The decision he makes will haunt him until the end of his days… The boy is grown, and now a fully realized Grandmaster far from his home. Adam Nguyen is a stranger in a strange land. A vengeful billionaire has unleashed a killer, and the fugitive grandmaster must overcome his reluctance, summon his inner warrior, and battle to protect his adopted home, and the ones he loves. No new GAME OF THRONES or #SPEEDBALL updates, but we *do* know that GOT’s premiere has been pushed back. Is it because they are waiting for ERIC ROBERTS to be available? PERHAPS! We discuss the recently launched Kickstarter for the film THE DARK RETURN OF TIME. If you want to donate some money to this HOLLYWOOD Star Studded Parisian Supernatural Thriller you still have time! Become a producer, and then come on Eric Roberts Is The Man and tell us about your experience! The great Guillermo del Toro righted a wrong on Twitter by giving a shoutout to Eric Roberts! He says “Eric Roberts is and will always be amazing”. We happen to agree. Movies: POPE OF GREENWICH VILLAGE / STAR 80. Rourke is in his perfect zone, yes. But Eric Roberts is and will always be amazing. And, finally, we talk about LUX IN TENEBRIS from director Branislav R. Tatalovic, featuring Eric Roberts as “Boss”. Look for it in 2016! Or wait for us to cover it on ERITFM. You do you!